Louis has been involved with genealogy research for about 20 years and has published two family books. For many years, Louis has volunteered his time to serve as the Norka Master Database Coordinator for the Norka Project. Louis has entered family and censuses information growing the database to over 63,000 people as of April 2018. 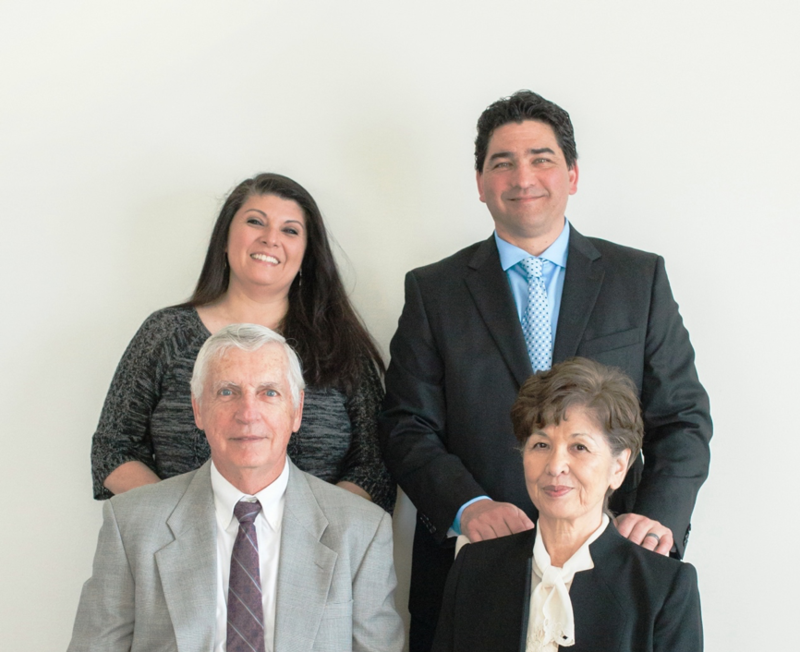 ​Louis has helped hundreds of people learn about their family history connection to Norka. We are all grateful for the excellent work he has done. Louis, Jr. was born in Britt, Iowa, the son of the deceased Eva Helen Charbonneaux and Louis Frank Schleuger and grandson of Katharina Weitzel and Louis Martin Schleuger (née Ludwig Schleucher/Schleicher) of Norka, Russia. Louis married Sanae Kamohara. They have two children - son, Louis, III and daughter, Lucy. Louis made a 20-year career of the Marine Corps as an electronics technician. In 1983, he obtained his Masters Degree in Business Administration and has since worked in the financial arena for a various companies and 17 years with Department of Defense organizations to include an auditor for the Office of the Inspector General, Department of Defense. ​Georg married Katharina Traudt on 7 February 1884 in Sutton, Nebraska. Georg died 19 September 1950 in Sutton, Nebraska. Katharina, daughter of Margaretha Hessler (b. 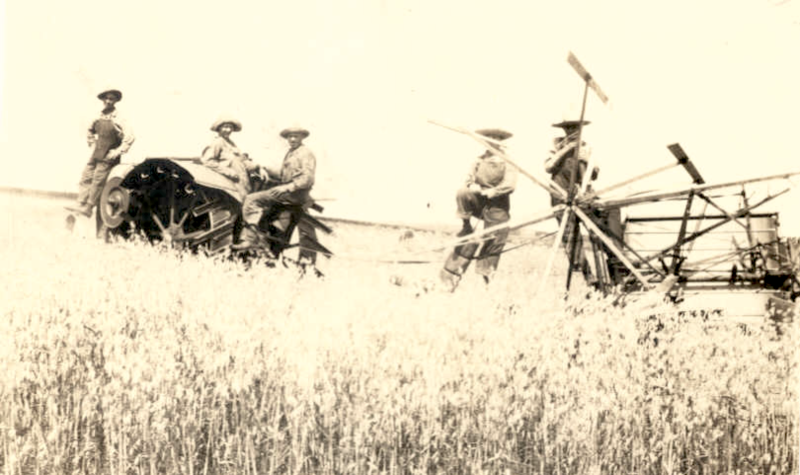 16 Dec 1833, d. 12 Jan 1926 in Sutton , Nebraska) and Johannes Traudt (b. 13 Sep 1833, d. 9 Apr 1905 in Stockham, Nebraska) was born 30 September 1864 in Norka, Russia and died 19 April 1947 in Sutton, Nebraska. 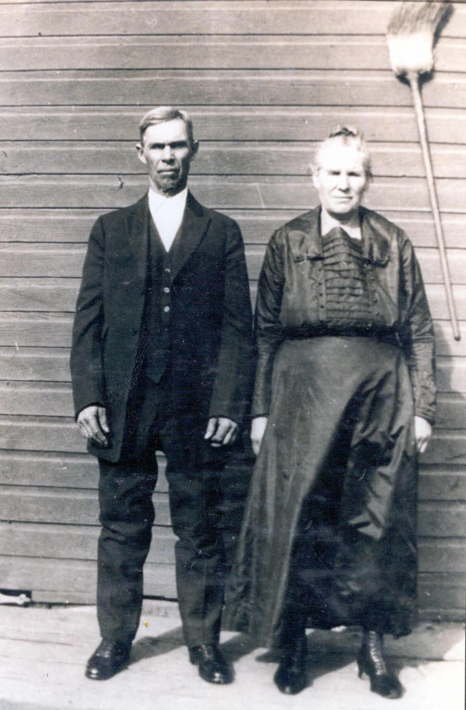 Katharina came to America in 1879 with her parents. Both Katharina and Georg are interned in the Sutton, Nebraska Cemetery. Georg Giebelhaus Family circa 1894. Back Row (L-R) Georg, son John, wife Katharina Front Row (L-R) Conrad, Marguerite, William (Willie). Courtesy of Louis Schleuger. 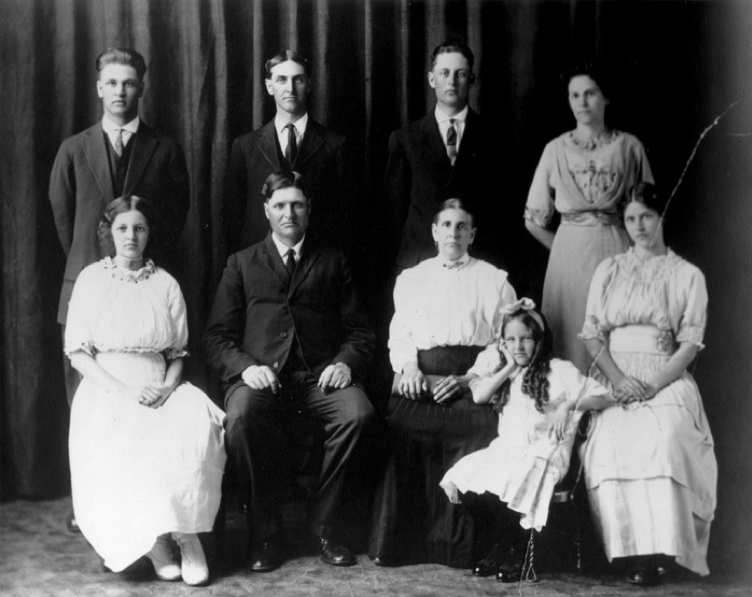 Georg Giebelhaus Family – Circa 1915 Back Row (L-R) Henry, John, Conrad, Marguerite Front Row (L-R) Marie, George, Katharina, Alvina, Freda. Courtesy of Louis Schleuger. Standing left to right: Mural, Alvina and Margaret Freida sitting. Courtesy of Louis Schleuger. Elizabeth Schleucher married Henry Fehrer née Heinrich Fuhrer 10 February 1887 in Norka, Russia. According to Henry’s obituary, he was born 25 April 1863 in Norka, Russia and was a son of Elisabeth [maiden name unknown] and Adam Fehrer. 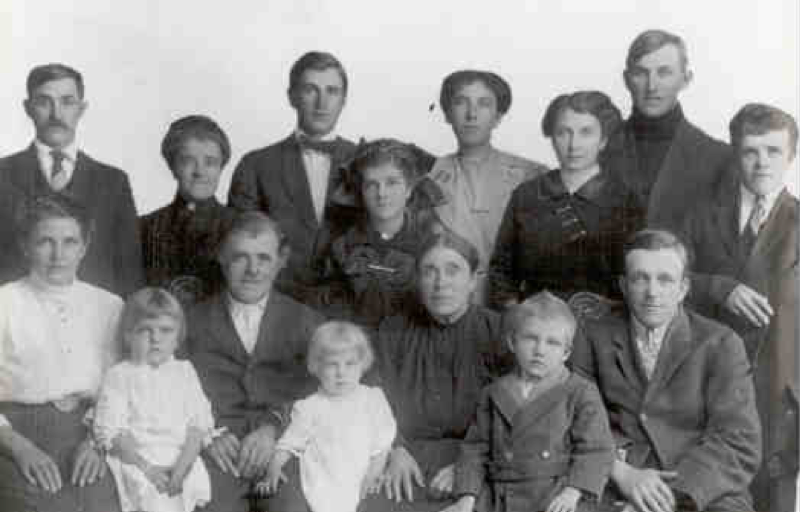 Elisabeth and Heinrich and children immigrated to America on 21 November 1899. Giebelhaus siblings. Standing left to right: Mural, Alvina and Margaret Freida sitting. Courtesy of Louis Schleuger. 1907 photograph of Heinrich and Elisabeth and their five daughters; Katharina, Elisabeth, Dora, Mary and Eva. Courtesy of Louis Schleuger. Nicolaus [Nick] Schleicher married Magdalena Dinges [aka Magalina, Nadalaine Ginges] 22 January 1880 in Norka. Magdalena was born 22 November 1859 in Norka, Russia and died from a paralytic stroke on 3 November 1940 in Berthoud, Colorado. Nick died 6 April 1944 in Fort Collins, Colorado. Both Nick and Magdalene are interned in the Greenlawn Cemetery in Berthoud. 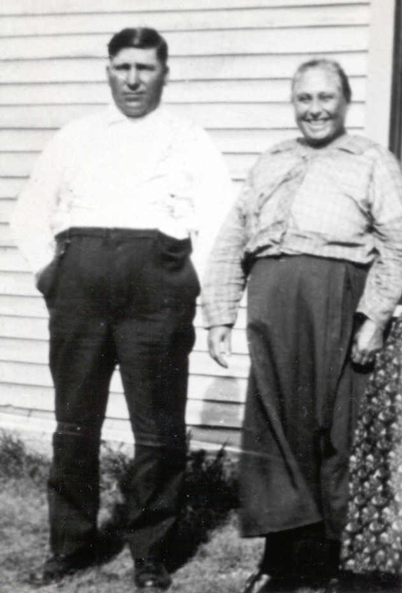 Nick immigrated to America in 1903, settling first in Lincoln, Nebraska and then three years later moved to Berthoud, Colorado. 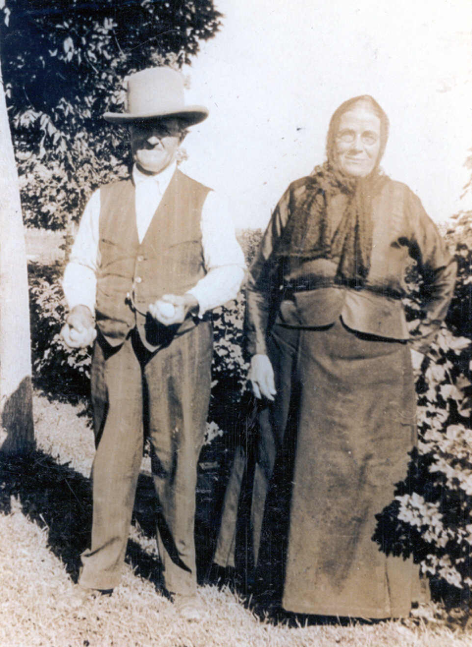 Magdalena immigrated in 1904 with her family, settling in Herrington, Kansas. Later she joined Nick in Lincoln. They farmed until retirement in 1942. Nicolaus [Nick] Schleicher and Magdalena Dinges. Courtesy of Louis Schleuger. Back Row (L-R): Henry Glantz, Katharina Magdalena [Schleuger] Glantz, Johannes Schleuger, Magdalena (Alice Ann) Schleuger, Alice [Schreiner] Schleuger, Katharina Elisabeth [Schleuger] Yost, William [Bill] Yost, Johann Ludwig (Louie John) Schleuger. 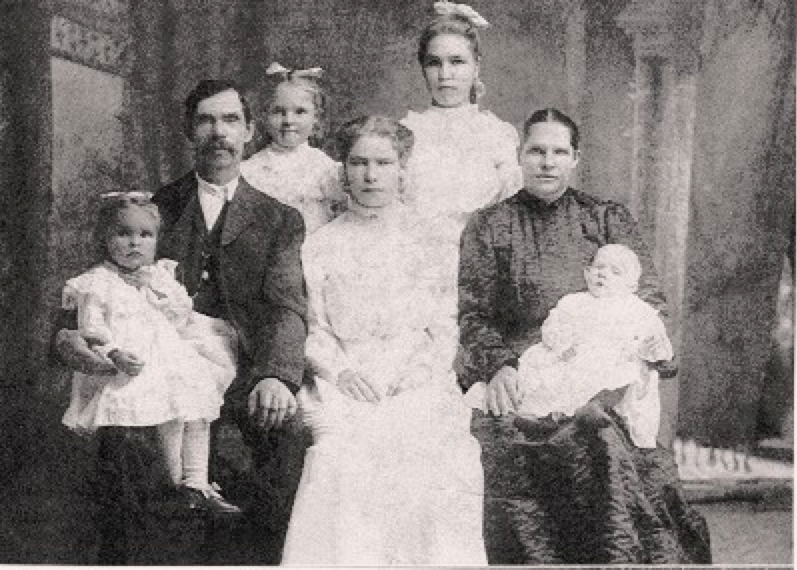 Front row (L-R): Christina Elisabeth [Schleuger] Pope, unknown Pope child, Nicolaus Schleuger, unknown Pope child, Magdalena [Dinges] Schleuger, unknown Pope child, Heinrich [Henry] Pope. Courtesy of Louis Schleuger. ​Ludwig Schleucher married Katarina [Catharina, Kathryn, Katherine] Elizabeth Weitzel on 10 February 1896 in Norka, Russia. Katrina, daughter of Sophia Pfenning and Heinrich [Henry] Weitzel, was born 25 February 1875 in Norka, Russia. Ludwig immigrated to America from Russia on April 4, 1906. He and family arrived from Bremen, Germany on the German vessel Oltenbirch and they entered through the Port of Baltimore, Maryland. On April 4, 1909, Ludwig declared his intent to become an U.S. citizen, signing his document as Luies Schleucher. On December 7, 1920, he was naturalized, signing his name Louis Schleuger, but taking the name of Louis Martin Schleuger. 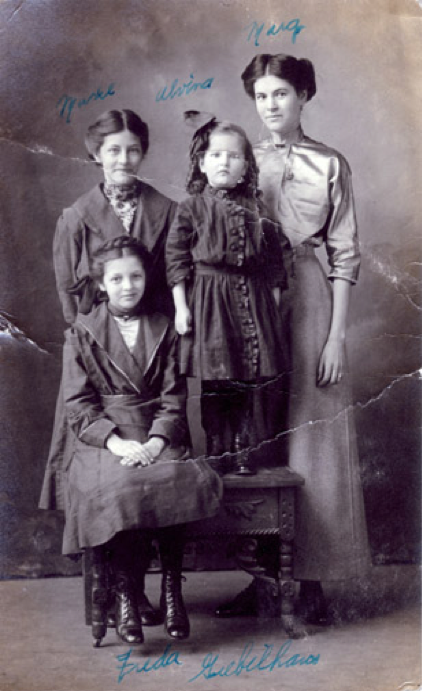 According to the family bible, Katarina immigrated to America June 30, 1906. Louis was fluent in German, Russian and English. Ludwig Martin and Katarina Schleuger. Courtesy of Louis Schleuger. Louis Martin Schleuger Family – 1914. 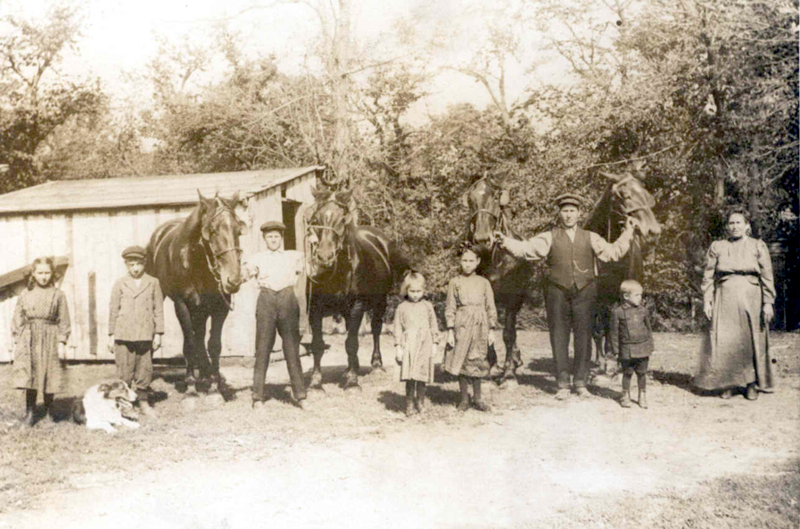 L-R: Anna, John, Jake, Margaret, Mary, Louis Martin [father], Louis Frank, Katherine [mother]. (Henry was asleep in the house and Conrad was not yet born). Courtesy of Louis Schleuger. Harvest time. 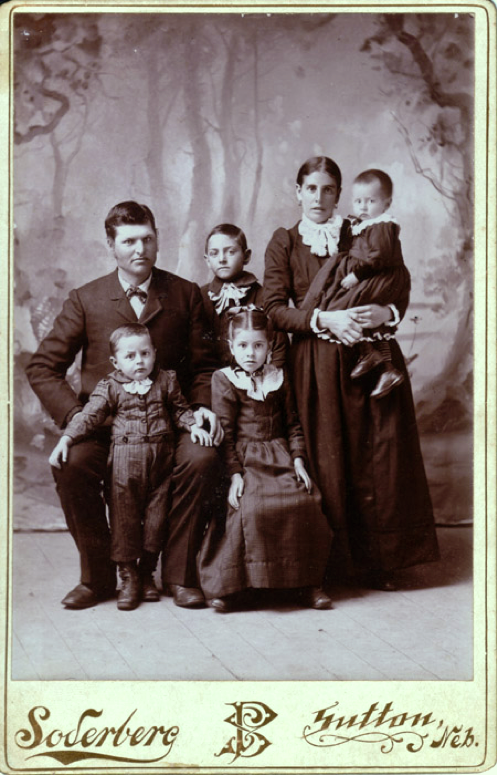 From left to right: John, Amelia [Jacob’s wife], Jacob, Margaret and Louis Frank. Courtesy of Louis Schleuger. Shelling corn. 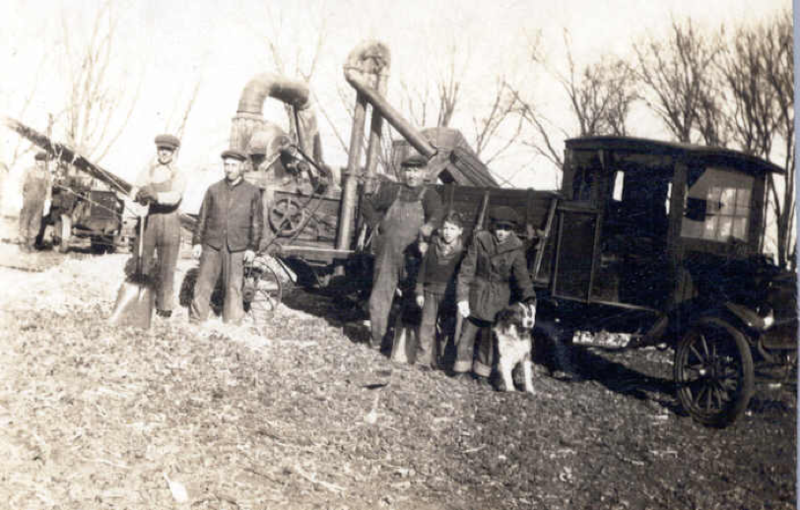 From left to right: Jacob, John, Louis Martin, Henry, Louis Frank. Courtesy of Louis Schleuger. 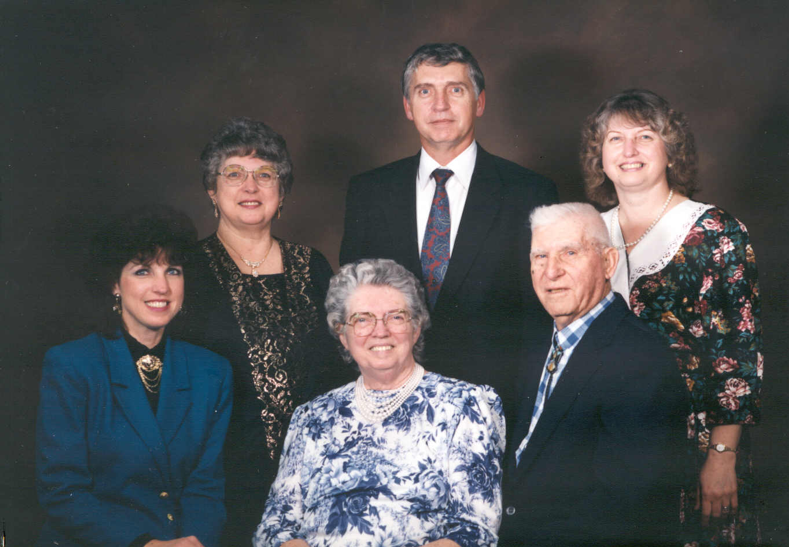 Louis Schleuger Family – 1994. Front row: Eva and Louis Sr. Back row: Shirley, Katherine, Louis Jr., and Lucy Ann. Courtesy of Louis Schleuger. 50th Wedding Anniversary photograph. Front row: Louis Jr. and Sanae. Back row: Lucy and Louis III. Courtesy of Louis Schleuger. Schleuger, Louis. April 23, 2018. Last updated April 25, 2018.